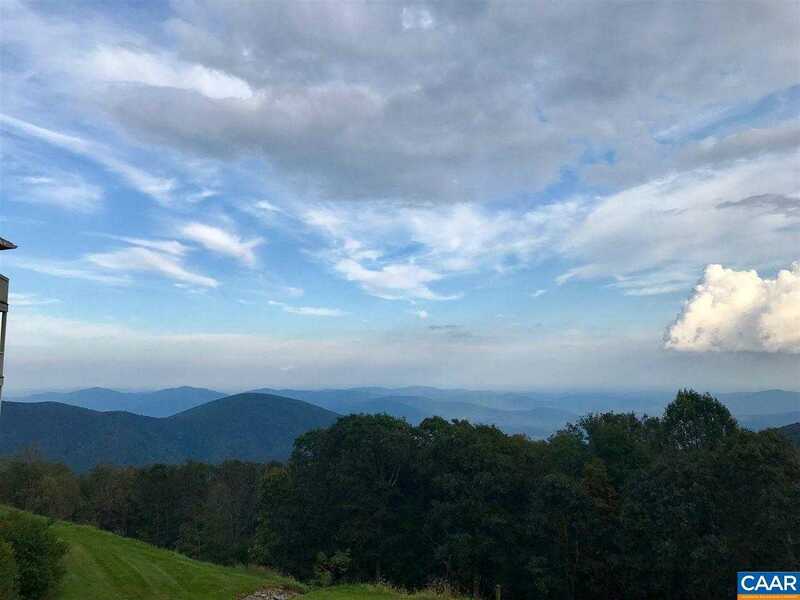 Spectacular views from one of the largest 2 BRS at Wintergreen. No steps to enter and underground parking make this the perfect year round second home, permanent residence or rental property. In addition to the wrap around deck leading off the master bedroom and great room there is a large ground level patio designed to add your own hot tub. With sweeping Blue Ridge mountain views and winter views of the Blackrock ski slopes you will love spending time in this spacious yet cozy condominium. Please, send me more information on this property: MLS# 582719 – $199,500 – 1812 High Ridge Ct Condos, Wintergreen Resort, VA 22967.